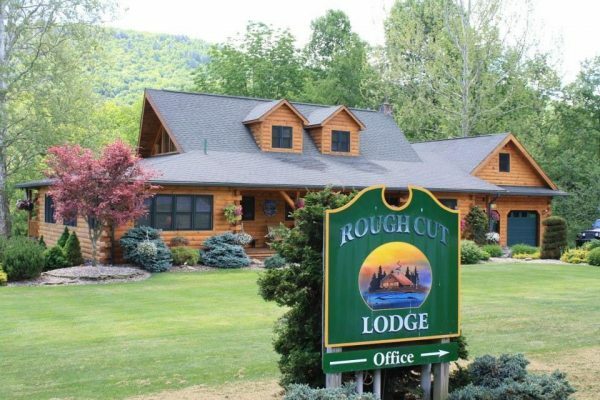 Beautiful lodge, cabins, and suites on Pine Creek. One to five bedrooms, fireplace, fully-equipped kitchens, air-conditioned, cable TV/VCR/DVD, decks & porches overlooking Pine Creek. Open year round. 17 miles west of Wellsboro on Route 6.